Your architectural dreams are brought to life with a majestic roofing masterpiece. A leaking roof is not only a massive inconvenience, it can be dangerous. If you’ve discovered a leak in your roof it’s important to get it checked out as quickly as possible, as there could be more damage in the roof than you realise. Leaks can cause structural damage over time which can lead to increased leakage and in bad cases even roof collapse. So, if you’ve got a roof leak give us a call and let us help you get it fixed. All roofing and guttering is going to degrade as time passes. Rusted or inadequately installed gutters generate problems for many home owners. A few of the recognisable signs of gutter degeneration are bubbling paint, rust and discolorations on the underside of eaves. Significant guttering faults might result in spots around windows, down walls and even on the ceilings. Such leakages are more than likely to be caused by gutter overflow. Do your gutters over ow? Gutters over ow for a number of reasons. They might be blocked with rubbish, or the slope towards the down pipes might be insufficient. We utilize high quality products on all roof and gutter repair projects. Even the best made and highest quality roofs will deteriorate over time, particularly if they’re exposed to harsh elements such as storms, strong winds, hail or pesky rodents. Whether your roof is just looking a bit tired or has sustained significant damage, we can help. If you’re looking for a quote on a roof restoration or just have some questions about it, give us a call and one of our foreman will answer any questions you might have. Why choose Capricorn Roofing for your Roof Repairs? 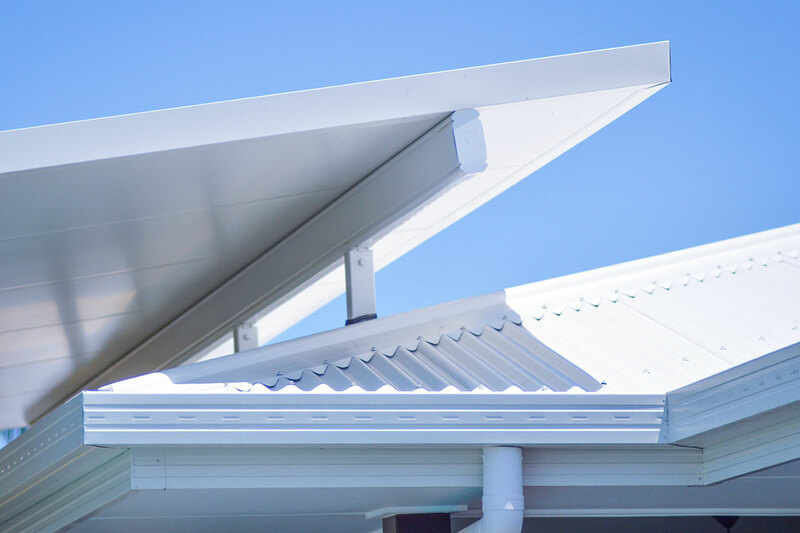 Capricorn Roofing are the leaders in providing complete roof repairs for residential homes and commercial buildings. With 30 years in the trade there’s rarely a day where we have problems getting the job done. Leveraging our existing industry partnerships, we only use the highest quality roofing materials and components when fixing our customer’s roofs.